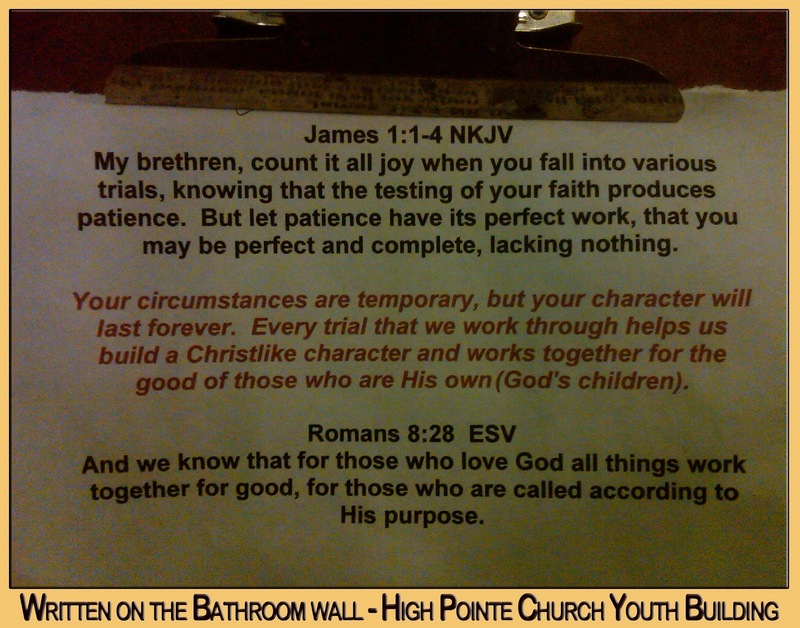 High Pointe Church in Tompson CT has a youth program they call 24/7, and that program has it's own building, which is used by the entire church when not being used by 24/7. I took the opportunity to use its restroom when in it today, and on a clipboard above the toilet was the note shown above. 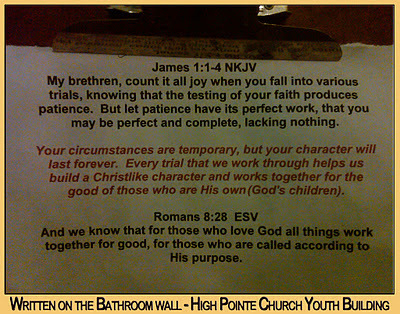 It always amazes me that God finds a way to teach what I need, just when I need it, even if he has to write it on the bathroom walls.